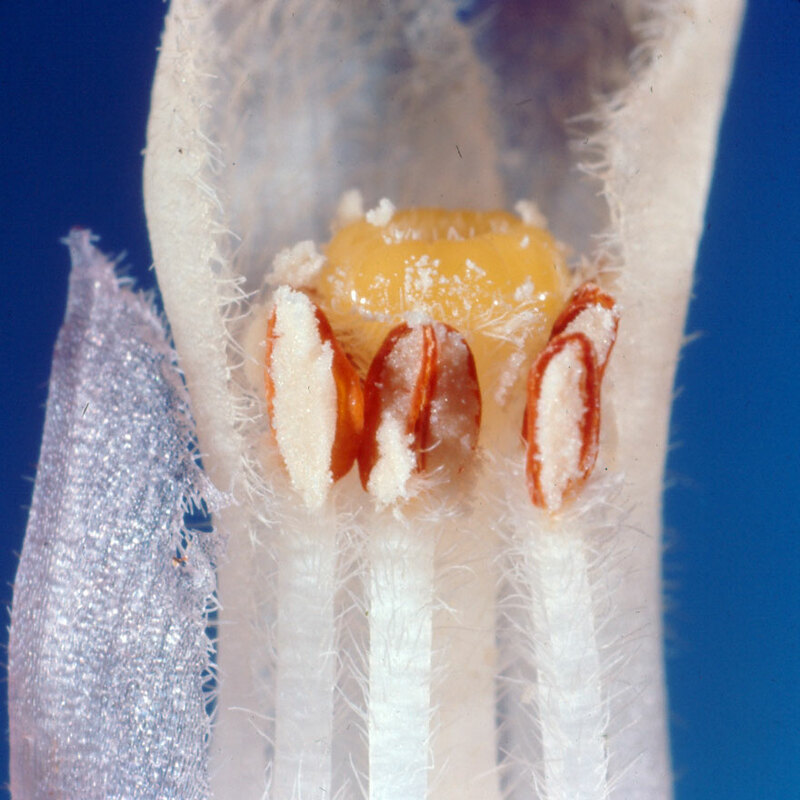 The stamens and stigma of Hemitomes, surrounded by petals. 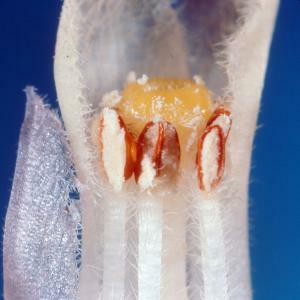 A sepal is at the left. The anthers are shedding pollen grains, which cling together in irregular groups rather than separate. The sticky nature of the pollen grains helps them adhere to hairs on an insect.